Am new to the forum and trying to put a new system together to replace one the kids helped themselves to :-). Looking for suggestions on what I should use to drive these, room is 45x60 ft open area kitchen, living breakfast nook. 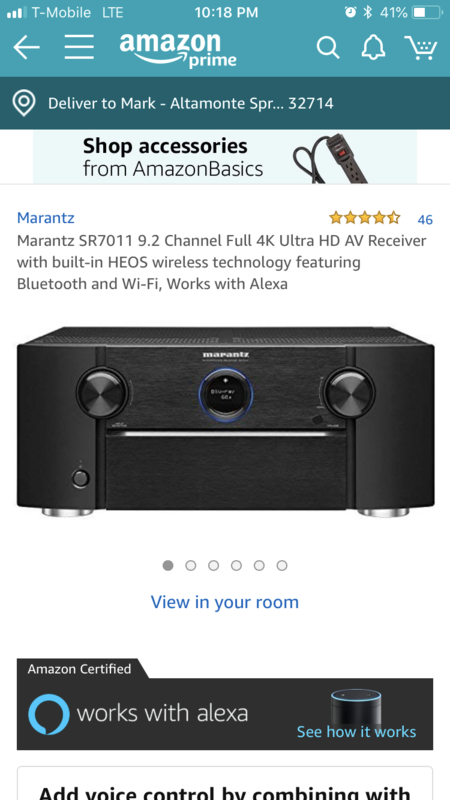 Read on-line that I should get the speakers I want and then look for suggestions for how to drive them and thats where the choices started to make less sense. Appreciate the help and suggestions. Those are some nice choices and congratulations on the new grear! The main tweak I would make is going with dual 15” subs at a minimum, that room is huge! I would also go with a refurbished model receiver that is a couple years old, to free up some of the budget, and get a 3 or 5 channel amplifier. I usually think upper end receivers are enough to drive Klipsch Reference speakers but due to the size of that room, I would imagine even the top receivers will be strained, driving 5 + speakers at level to fill a space that size. Second, if you are using zone 2/3 as a 2-way setup with a seperate amp, watch the HDMI inputs versus "throughputs." On my Onkyo "only" HDMI 1-3 transfer to zone 2 ... some other receivers are even worse than that ... and of course this "fact" is only in the "small print." Still looking for one that transfers "all" inputs. Big room, big amplification, big subs. I suggest an upper tier AVR and a multi channel amp or an AVP/amp combo. Congrats on the new speakers and welcome to the forum. +1 on separates. Buy an older processor and or multi channel amp if it's in the budget. Headroom is your friend in that huge room. Second the more bass in the huge place comment as well. folks at crutchfield.com suggested ( I don't know if that is a good one or not?) I believe the collective wisdom of the group would be greater. Keep in mind that is an amplifier and you will still need an avr to drive everything. Marantz 7011. It has audyssey xt 32 room correction and should be enough power to hold you over. Then you could add a second sub and amplifier down the road. Of course there are other brands like Dennon, Anthem, Nad, Yamaha Onkyo that have similar models. Do you have any Avr currently? Welcome to the Klipsch forums! You have selected some outstanding speakers. I would also suggest a 15" sub or two. We have a forum member here who is also a Klipsch dealer and he has some AVR's and amps as well. His reputation for service is outstanding and it seems everyone he deals with here comes away with great pricing. He knows what works well with Klipsch, he knows what people are buying, and he will give you honest advice, even if that means suggesting something he doesn't sell but it would be best for your needs. Contact Cory, who is @MetropolisLakeOutfitters. He will see this notification the next time he logs in and I'm sure he will say hi. The following avr was suggested and then to bi-amp the RF7iii's ................Thoughts opinions???? Buy refurbished and add another 15..
Accessories4less.com will have a few processors capable of what you need for a few hundred bucks. Take the rest and buy yourself a nice five or seven channel amp so you can make the most of those Klipsch. I know you can run them on flea watt amps but the RF-7 will really come alive with 200 or more watts on them. A fellow in the Klipsch Owners Facebook group has a sweet Gen 3 Emotiva XPA-7 for sale. There are also several XPA-5 around. Very capable amps. Next time the extras and gimmicks take a leap forward, your amps are ready, just need to swap in your processor for the next adventure. You won't regret it. Accessories4less.com will have a few processors capable of what you need for a few hundred bucks. Take the rest and buy yourself a nice five or seven channel amp so you can make the most of those Klipsch. I know you can run them on flea watt amps but the RF-7 will really come alive with 200 or more watts on them. 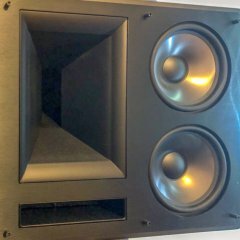 A fellow in the Klipsch Owners Facebook group has a sweet Gen 3 Emotiva XPA-7 ﻿for sa﻿le. There are also several XPA-5 around. Very capable amps. Next time the extras and gimmicks take a leap forward, your amps are ready, just need to swap in your processor for the next adventure. You won't regret it. There is also a second group run by the same group called KO Classifieds. People looking to buy or sell are advertising in there. There are a lot of good guys in these two groups too. For the money find a refurbished Marantz SR7012 and call it a day.